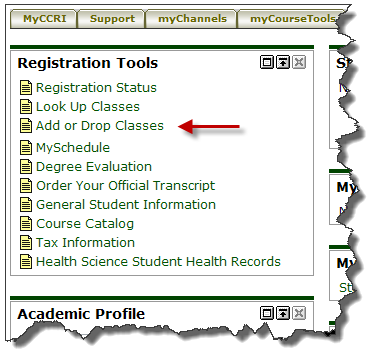 Students are able to drop a course from within their MyCCRI account. Note that this function is only available during the drop-add period. 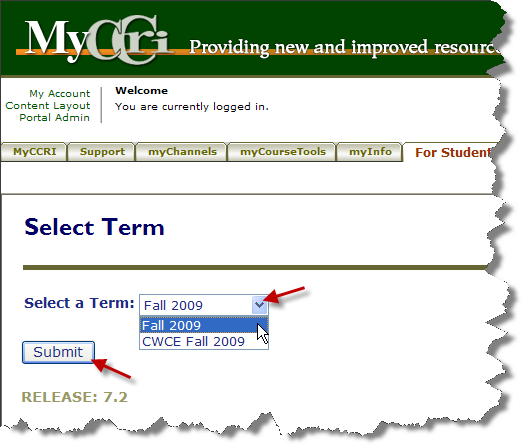 Click on the arrow next to the Select a Term box and choose the term you wish to drop classes from. Click on the Submit button. Under the Current Schedule option click on the down arrow under the Action option and choose Web Withdrawn. *Note that if the formal drop/add period has passed there will be no choices available under Action. Click on the Submit Changes button to finish the action.